The first step in defusing the nuclear threat is for you to evaluate our arguments that nuclear weapons pose an unacceptable risk, and that action by individuals like yourself is essential to solving the problem. If you haven't already read it, our home page is the	best place to start, It provides all the essential information in an easily understood format and takes less than five minutes to read. Once you've taken in what's said there, here are some additional resources, with those of most general interest listed first. How risky is our current nuclear strategy? Surprisingly, no one knows! If you agree that gaping hole in our national security needs to be plugged, join a former Director of the National Security Agency and other prominent individuals in signing a petition that asks Congress to authorize an objective study of the risk. Prof. Hellman's recent paper in The Bulletin of the Atomic Scientists explains the need in more detail. Discussing nuclear weapons may seem daunting at first, so this section contains suggestions for increasing your effectiveness in getting others to consider the issue. People are social animals and we look to those around us for cues on what is important, what is not, and how to behave. Until a critical mass of people within a population treat nuclear weapons with the respect that they deserve, most will ignore it. To break out of this catch-22 that few will pay attention until many are doing so, we are using an innovative business technique known as market segmentation. Critical mass – sometimes called a tipping point – is on the order of 5-10% of a population. That's the point at which an average person comes in contact with the idea on a frequent enough basis to take it seriously. 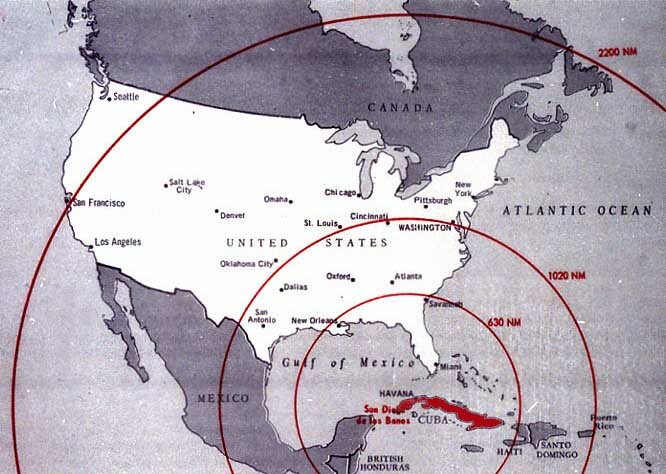 That's 15-30 million Americans – far beyond our resources – so we first seek to form pockets of nuclear awareness in neighborhoods, schools, churches, or other interconnected groups that are small enough for us to have a reasonable chance of success. From such beach heads, the idea can spread more widely until enough public support exists to change national policies in ways that reduce the risk and enhance our national security. The approach, and resources to help you form your own pocket of awareness, are explained using the Stanford campus as an example. Click on the poster shown to the right to download a Word file that you can customize with your own name, location and email address. Seven prominent members of the Stanford community are encouraging students to become involved in that effort. how this seemingly insoluble problem can be solved in a step-by-step process. This article has been our most popular resource, and no math or technical background is required. It's also available in PDF, Portuguese and on YouTube. 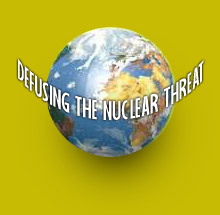 As its name implies, this resource provides a basic understanding of the issues involved in defusing the nuclear threat. 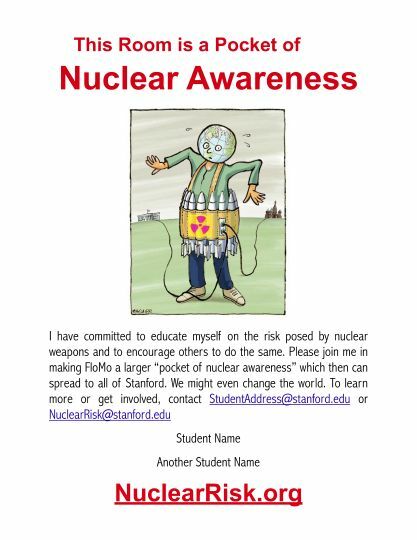 Forming pockets of nuclear awareness, while more generally applicable, is the most fundamental resource for people at Stanford. If you haven't already done so, please check it out. Endorsements by prominent members of the Stanford community provide a solid foundation on which to build. Courses related to this project: Most Stanford students carry such full loads that it's hard to find enough time to give this issue the respect it deserves. This list of courses relevant to Defusing the Nuclear Threat helps students integrate their participation with their academic program. It starts with Winter AY2010-11 quarter, then lists courses for next Spring. Since we don't yet know what will be offered Autumn AY2011-12, this year's Autumn courses are listed next, followed by courses not being offered this year, but that might be offered next. Harry's Last Project: On October 14, 2010, the Dalai Lama gave the third address in Stanford's series "Harry's Last Lecture on a Meaningful Life." Tickets were scarce, but whether or not you got to hear the Dalai Lama speak, you can help complete Harry's Last Project. As explained on that page, our effort to Defuse the Nuclear Threat is effectively an attempt to complete the last project on which Prof. Harry Rathbun worked. Your participation is encouraged by both previous Rathbun Fellows, former Supreme Court Justice Sandra Day O'Connor and Ronald Reagan's Secretary of State George Shultz. If you missed this year's Rathbun lecture, you can watch it below. If the video resolution is set too high for your Internet connection, you can change that after it starts playing, via a button that will appear in the lower right corner of the screen. The video starts playing at 720p, the highest resolution, but can be reduced as low as 360p. Seven prominent individuals "urgently petition the international scientific community to undertake in-depth risk analyses of nuclear deterrence and, if the results so indicate, to raise an alarm alerting society to the unacceptable risk it faces as well as initiating a second phase effort to identify potential solutions." We hope you too will join the effort. "Risk Analysis of Nuclear Deterrence" (1.8 MB PDF) was published in the Spring 2008 issue of the magazine of the engineering honor society, The Bent of Tau Beta Pi. Since the paper is intended for an engineering audience, the Risk Analysis section of this site explains the key ideas of the paper in non-mathematical language. Sharing your concern is essential to solving this problem, but bringing up such a weighty subject may seem daunting. This sample email can help get you started. IEEE Spectrum (31 March 2008): The Institute of Electrical and Electronics Engineers is the world's largest technical society. Its magazine reached 385,000 readers with coverage of our project. Stanford Magazine (September-October 2008): Stanford's alumni magazine brought news of our project to over 180,000 readers. The Stanford News Service has a July 17, 2009 story on our project, both in written form and a short video.